A bold statement of intent from UK newspaper The Guardian today, saying that it was planning a major transformation, turning itself into a digital-first news organisation. 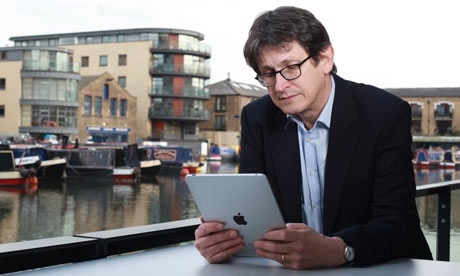 Alan Rusbridger, editor-in-chief (pictured above) said “inexorable trends” in media consumption meant The Guardian would “move beyond the newspaper, shifting focus, effort and investment towards digital, because that is our future”. Andrew Miller, chief executive of parent company Guardian Media Group said it was “embarking on a major transformation that will see us change from a print-based organisation to one that is digital-first in philosophy and practice”. Rusbridger said The Guardian would continue to promote what it calls “open journalism” – collaborative editorial content that is linked into and networked with the rest of the Internet. The Guardian predicts its digital revenues from web, mobile and other services will double in the next five years.